(Segment ⅓): Joseph Lowery, contributor to The Athletic, chats with us about the USMNT. We get into Christian Pulisic's move to Chelsea, names to watch in the January camp as the Gregg Berhalter regime gets into full gear, flaws within the USMNT, and where should Pulisic play under Berhalter. 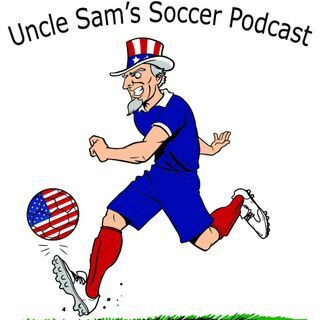 Catch tomorrow’s segment about MLS Draft and a philosophical debate about how MLS teams should build. Follow us @UncSamSoccerPod! We always ... See More enjoy your feedback and comments, so continue to send them in! Don't forget that you can always find the show on any major podcast platform.